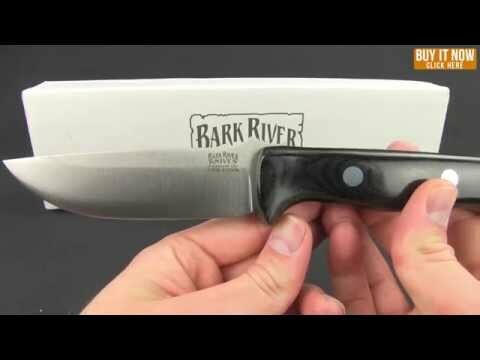 The Bark River Knife & Tool Bravo-2 is a longer and larger version of the Bravo-1. 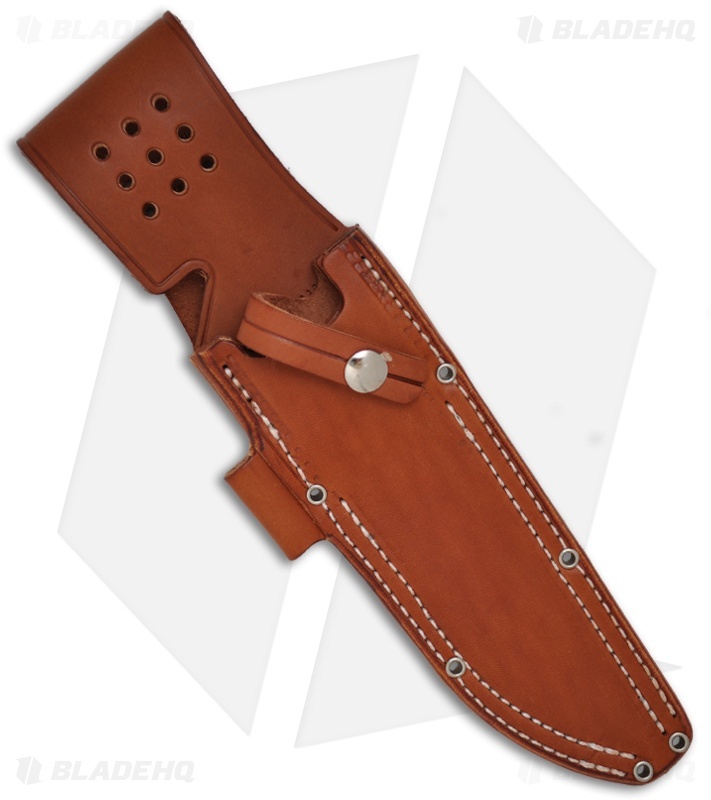 This model has been designed for situations where a larger knife is needed and is still compact enough to make carry easy. 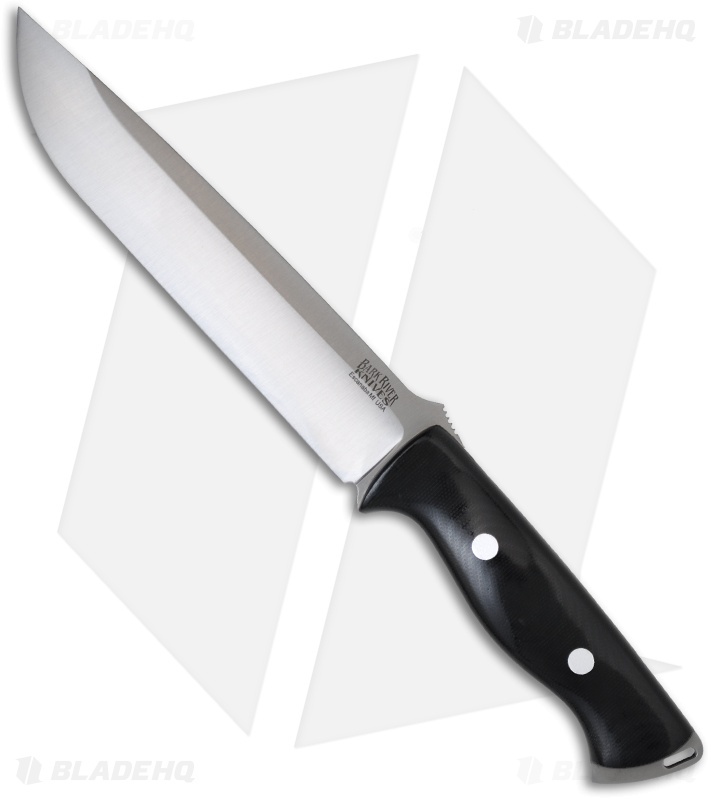 The Bravo-2 has the same contoured type handle slabs as the Bravo-1 and is one of the most ergonomically friendly knives you can find of this size. 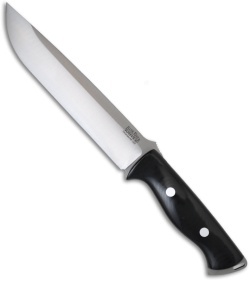 The handle slabs had to be epoxied and bolted to and through the blade. All of the Bravo have the handle sets attached with bolt sets. They are non-removable. The screw slots are ground off as the handles are finished. The synthetic material handles will all have stainless steel screw sets. All the natural material handle sets are attached with brass bolt sets. The ramp on the top of the Bravo is not actually a thumb ramp. It serves two purposes. The rear part of the ramp is notched to engage the firesteel. The front part of the ramp aids in putting more pressure over the plunge line for notching. 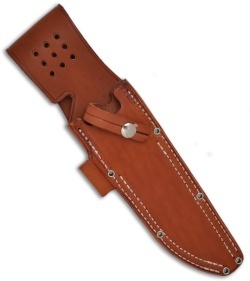 The final result is a heavy duty bushcraft/survival knife that can stand up to abusive use. All Bravo-2s come with a top quality U.S.A. made leather sheath by Sharpshooter Sheath Systems.